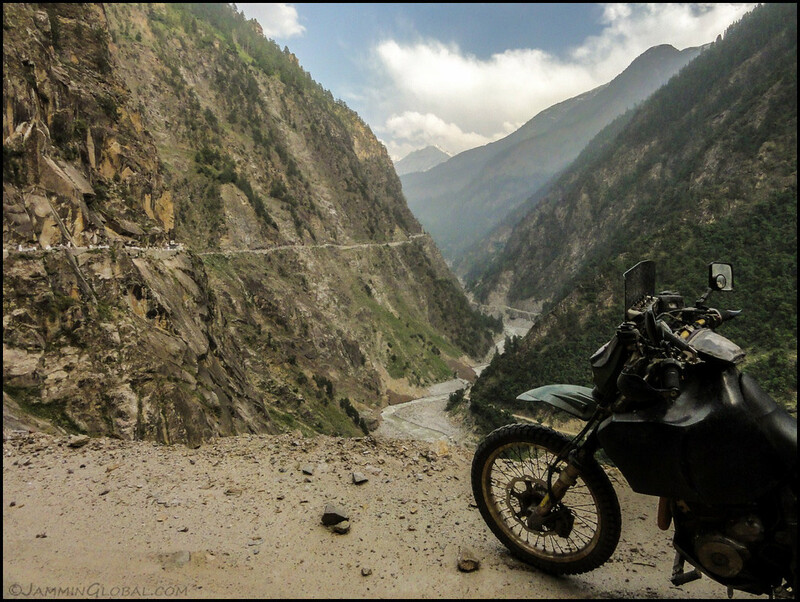 I’ve graduated from the foothills and am riding in the Himalayas proper 🙂 From Rohru, I found a small route over a ridge down to Rampur on the Hindustan Tibet Highway and rode into Kinnaur Valley. I saw my first snow peaks! Along the Sutlej River, I met some bikers who were coming back from Kaza in Spiti Valley and they said the Kunzum Pass, the first really high pass on my route, is not yet open due to snow, so I might have to backtrack and head to Manali. I left the Sutlej and followed the Baspa River to Sangla, a small town surrounded by snowy mountains and am enjoying the chill air at 2,750 m (9,020 ft). Need to get slowly acclimatized for the high altitude riding ahead. Previous Previous post: Milestone! 100,000 kms covered since Chicago!